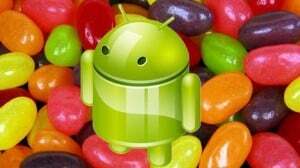 Samsung officially released Android 4.1.2 for the Galaxy Note 2 both the 3G and LTE versions. The N7100 Android 4.1.2 XXDLK7 version was released in Poland and the Android 4.1.2 XXDLL1 for the N7105 LTE version was released in Sweden. The update can be downloaded via OTA or via Samsung Kies, but it will not be available in all regions at the same time. From previous updates we know that it takes time for all the regions to receive the update. However the update will arrive soon to all of you, so don’t worry if you didn’t get it yet. You can also manually update your Galaxy Note 2 using ODIN and the firmware from Poland or Sweden depending of your phone model. How to update Galaxy Note 2 N7100 with Android 4.1.2 XXDLK7. How to update Galaxy Note 2 N7105 with Android 4.1.2 XXDLL1.